Holy Trinity University is the pioneer institution of higher learning in Palawan established in 1940 as the Holy Trinity College Academy. The first administrators of the Academy were Rev. Mother Cruz Rich, O.P., Rev. Mother Paulina Cruz, O.P., and Rev. Mother Trinidad Acosta, O.P., who worked in close cooperation with the Augustinian Recollect priests under the leadership of Msgr. Leandro Nieto, ORSA, the Prefect Apostolic of Palawan. The first courses offered were Kindergarten and Elementary level, followed by the secondary level. On September 10, 1950 with Sisters Amparo Bautista, O.P. as the first Directress, HTC rose to become a Junior College and opened the following courses: Elementary Teacher’s Certificate (ETC), Vocational Stenography and Typing. In October 1953, the school came to be known as Holy Trinity College where Associate in Arts (1953-1954) was offered. In January 1955, Fr. Arsenio Villanueva, ORSA became the Director of the College. New courses such as Secretarial course (1955-1956), Dressmaking and Liberal Arts (1957) were opened. In 1958, Mother Rosa Santiago, OP was appointed Directress. During her leadership, Associate in Commercial Science and Bachelor of Science in Elementary Education (1959) were opened. 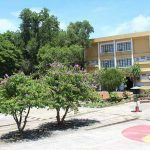 It was also during her term that improvements in the school’s physical structure were done. Sister Victoria San Juan, O.P. became the Superior-Directress in 1963. Her tireless efforts to improve the college led to the construction and inauguration of the three-storey St. Dominic building and opening the Pre-Nursing Course and then established the Graduate School of the College in 1965. The highlight of student activism in the entire country during the seventies posted a great challenge to HTC. The Directress and Dean Sister Lucia Hacbang, OP amended certain policies for the greater benefit of the studentry in order to respond to the challenges of the times. In June 1976, Sister Leonor Pagorogon, OP became the Directress and Dean of the Graduate School. Through her dedicated efforts, HTC became the first FAPE (Fund for Assistance to Private Education) Unit Center in Palawan. Sr. Leonor Pagorogon, OP went for a 3-year (1979-1981) study leave for her Doctorate degree and Sr. Bernadette Izon, OP, served as acting Directress of the College. After completion of her Doctorate degree in June 1981, Sister Leonor came back to further improve the college. She then became the First President of the College. The Academic Year 1983-1984, marked the establishment of HTC-PNAC consortium and the opening of more courses namely, Bachelor of Science in Criminology, Master Electrician Course, Electronic Service for Television and Electronic Service for Radio. School year, 1984 – 1985, paved the way for the opening of a two-year General Radio Communication Operator Course and the construction and inauguration of the first phase of St. Catherine building. In 1985-1986, the college opened its Automotive and Electrical Engineering courses. In June 1987, Sr. Teresita Medalle, O.P., became the President of HTC and worked for the opening of the four-year Bachelor of Science in Nursing. 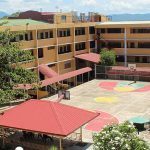 It was during her leadership that the college implemented an inactive development program called the Catholic Schools Systems Development Program (CSSD) concept in the operation of the school. During the school year 1990-1991, HTC celebrated her golden jubilee of service to the community. She looked back to fifty years of educational service which was made possible through the development of a strong research tradition that included the Palawan Environmental Research Center (PERC) professional chairs and research grants are offered to further enhance the research outputs of faculty after which the outputs were published in the HTC Graduate Journal and the Faculty Research Journal. In June 10,1991, the government recognition for the Bachelor of Science in Civil Engineering was given be the Department of Education, Culture and Sports. School Year 1994-1995 saw the birth of new programs namely Doctor of Philosophy (Ph.D.) and the Master of Arts (M.A.) program in Public Administration, Religious Education as a major in Education, Bachelor of Science in Physical Therapy, Bachelor of Science in Computer Science and Bachelor of Science in Biology. 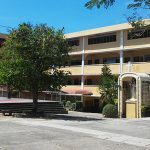 The Mother Francisca Community Extension Service Program was also formally organized to include all the existing extension services program of the College. These are the Human Resource Development Program (HRDP), the extension services programs of the various colleges and the institutional community extension services. In 1997, HTC applied for the conversion of the college into a university. Recommendations have been given by the CHED’s evaluation team for further improvement and enhancement of the institutional program and services to qualify the college for its intention of conversion into university.It was also during this year that Bachelor of Science in Hotel and Restaurant Management was given government recognition by the Commission of Higher Education. Sr. Estrella T. Tangan, O.P. became the President from 2000 to 2007. During her term, additional majors in the doctorate and masteral programs were offered namely: Doctor of Philosophy in Public Administration, Doctor of Philosophy in Development Education, Master of Arts in Education major in Teaching English, Teaching Math and Teaching Science. Last October 4, 2002, the Commission on Higher Education granted the institution with the Certificate of Authorization to accredit, provide equivalency to and/or certify the pertinent work experiences, knowledge or expertise acquired by individuals through formal, non-formal or informal means and to confer appropriate academic degree of Bachelor of Science in Criminology by virtue of CHED Resolution No.025 series of 2002. In 2007, Sr. Caroline S. Capili, O.P. took the challenge of finally converting the college into a university. A University Task Force was organized, series of sessions, consultations, planning, reorganization, restructuring, realignment, evaluation and accreditation of programs and services as well as policies and procedures to better respond to the call of excellence and the fast changing times. 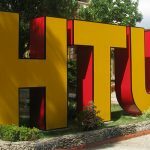 HTU submitted its reapplication papers to CHED for the conversion of HTC into a university in February 2009. CHED’s Technical Team came to visit the school to validate the application for conversion on April 28–29, 2009. On July 23–24, 2009, the school had its PAASCU accreditation on the following programs: resurvey for Education, Liberal Arts, and Business; formal survey for Nursing; preliminary visit for Criminology, Hotel and Restaurant Management, Master of Arts in Education and Master in Public Education. In September 4–5, 2009, CHED Commission En Banc headed by the CHED Chairman Emmanuel Y Angeles, the Commissioners and other CHED officials came for the final visit and validation for the conversion of status from college into university. Consequently, Holy Trinity College was converted as Holy Trinity University by virtue of CHED CEB Resolution No. 490-2009 in accordance with the pertinent provision of Republic Act (RA) 7722 otherwise known as the “Higher Education Act of 1994” during the 345th Commission En Banc meeting on December 23, 2009. The College of Nursing Education was granted Level I PAASCU accreditation; Liberal Arts and Business Administration were Level II reaccredited; and Candidate Status was granted to the following programs: Criminology, Hotel and Restaurant Management, Master of Arts in Education, and Master in Public Administration. In June 23, 2010, HTU received two Governor’s Award for the Private Education Category and Women Development Category. HTU also received the Mayor’s Award for the Academe category on March 4, 2011. In May 2011, Sr. Mesalina E. Cloma, O.P. became the second University President. Through her leadership, the offering of ETEEAP Bachelor of Science in Business Administration and Master in Business Administration were approved by the Commission on Higher Education and the consortia between Holy Trinity University (HTU) and the following universities namely; University of San Carlos (USC), University of Mindanao (UM), Palawan State University (PSU) and Our Lady of Fatima University (OLFU) were established. It was also during her term that researches in Engineering and Palawan Ethno-environmental Research Center won as best researches both in the region and national convention /symposium. 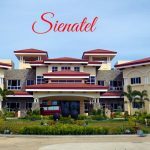 In 2013, Sienatel as HTU Training Hotel in Tiniguiban, Puerto Princesa City was opened. On January 21,2014, HTU was given the Certificates of Authorization by virtue of CEB Resolution No. 876-2013 dated December 4,2013 to offer the Expanded Tertiary Education Equivalency and Accrediation Program (ETEEAP) and confer the appropriate academic degree in Bachelor of Science in Business Administration valid until November 2018. In June 16, 2014, Sr. Mercedes R. Lalisan, O.P. was installed as the new University President. 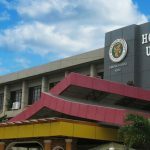 In April 29 to May 1, 2015, HTU celebrated its 75 years of being part of Palawan’s historical and critical moments where she served as a “landmark,” and demonstrates how liberating a true Christian education is in human society. Holy trinity University alumni, former and present administrators, faculty and students gathered for a three-day celebration and voluntary service to the people of the city and province with the theme “HTU Shining Bright and Soaring High @ 75”. In August 29, 2015, HTU received the Excellent Award for the Cleanest and Greenest School- Poblacion Category from the Office of the City Mayor of Puerto Princesa. HTU also received the Best Research Paper Presenter and Best Research Poster Presenter both for professional category during the MIMAROPA Health Research Development Consortium 4th Health Research Forum at Filipiniana Hotel, Calapan City, Oriental Mindoro last November 25, 2015. Holy Trinity University (HTU), a dynamic center of Catholic education in Palawan, is committed to be a symbol of missionary sacrifice, a fierce bearer of Truth, an active catalyst of event as she responds with faith and helps shape the community it envisions, through unity with the church and society through actively participating in relevant social concerns and important causes and issues, thus building progressive Christian community that will effectively contribute to the extension of the kingdom of God.